Definitive proof that price alone does not determine value. The Reaper fly rod is a true tip-flex, fast action rod with performance characteristics similar to those found in more expensive fast action fly rods available on the market. By utilizing modern multi-modulus layups, Mystic has created a rod with a very supple tip capable of protecting light tippet while at the same time delivering immense power through the middle and the lower sections of the blank. Like all Mystic flyrods, the Reaper is true to line size and several of the models are saltwater safe. The end result is a rocket launcher of a rod that redefines what “fast action” should really be all about. The reaper is offered in line sizes from delicate 3 weight designed with Brook Trout in mind to a 10 weight powerhouse, capable of handling trophy class Northern Pike and Muskie. The Reaper fly rod is the perfect example of exceptional performance built into a mid-priced rod. 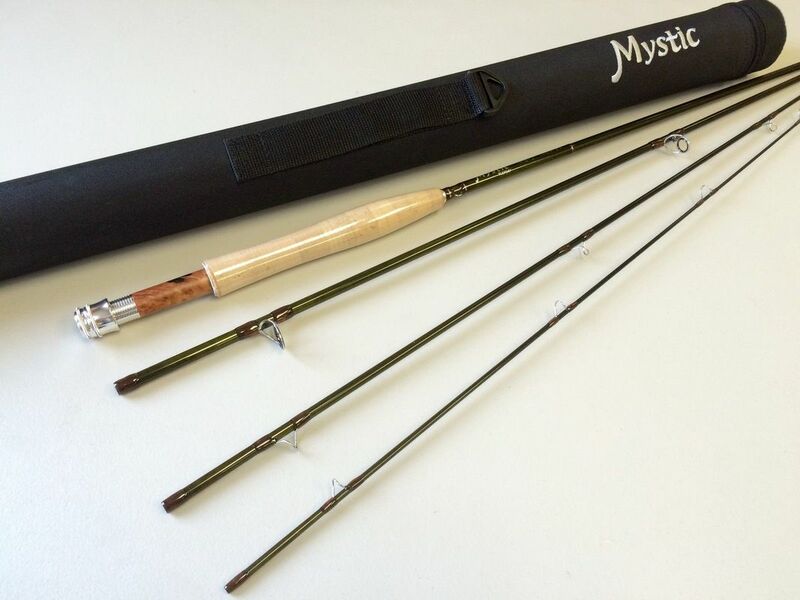 The Mystic Reaper is highly regarded in the industry as being a top-notch fast action fly fishing rod. All Reaper rods come with a lifetime warranty!